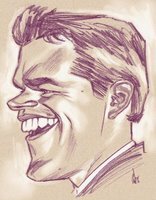 A couple of caricatures of 'Good Will Hunting' and 'The Bourne Identity' actor Matt Damon, done as part of a Caricature Jam over at The Drawing Board. Pencil and Photoshop. Very good I admire your work, Congratulations! I was waiting for this one, just wanted to know what you will push or stretch on this one. 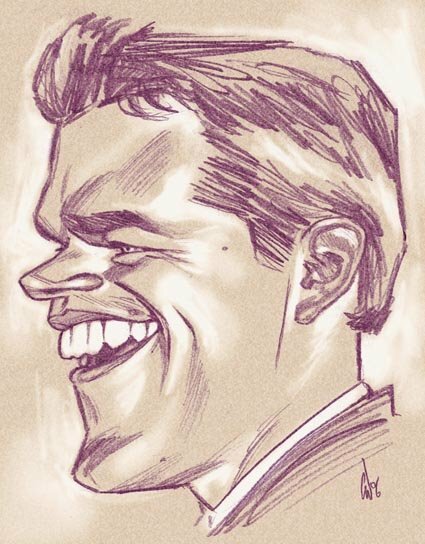 Matt Damon is hard to caricature, you certainly capture his likeness. I will do mine later. how is the video on caricature going? Man, I thought this was gonna be a caricature of Gwyneth Paltrow's kid Apple! 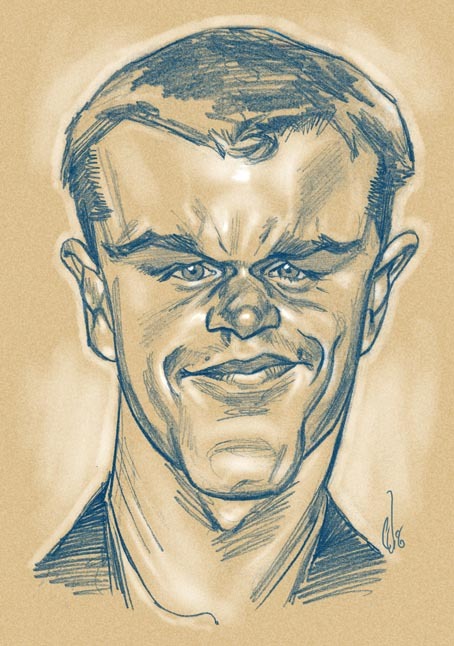 Oh well, I guess I'll accept it as Matt Damon...after all, it looks exactly like him....With his 'overacting' chin and his trademark 'I make more money in a minute than you do in a year' smirk. Brilliant caricatures Mr. Wahl. Or should I just call you Gawd? I checked out your superb gallery. So any chance you could loan me some of your talent? I see that you have an abundance...you're like the King Solomon of art. I can never look at Matt Damon seriously again thanks to Team America: World Police. It's sickening how good you are. Heri- I agree, he is hard to draw. I think getting the eyes right is an important part to any caricature. The profile I've drawn still looks a little like Arnie Schwarzenegger to me though. Trevor- Thanks man. I'm glad you're enjoying my work. Hope to see more from your blog. Killeroo- Haven't seen Team America yet. Been meaning to, though. Really enjoying your black and white work. yeah he was hard to capture his likeness, I drew him, but i did not look like him, I will draw him again tho. I can't see any of your images on here either! Elliot- That's weird. What browser are you using? If anyone else is having problems viewing the images let me know. I think it's this machine. Goodness knows what settings my father has meddled with.